Ronaldo came out firing on all cylinders after his controversial red card during his first Champions League game for Juventus in Valencia back in September. TURIN: Mario Mandzukic scored the only goal as Juventus eased into the knockout stages of the Champions League on Tuesday with a 1-0 win over Valencia in their Group H clash. Portuguese superstar Cristiano Ronaldo provided the assist that allowed the Croatian World Cup runner-up to tap-in the winner just before the hour mark in Turin. The win for the Italian champions, who only needed a point to ensure qualification, combined with Manchester United snatching a late 1-0 win over Young Boys at Old Trafford means Valencia crash out of the competition. 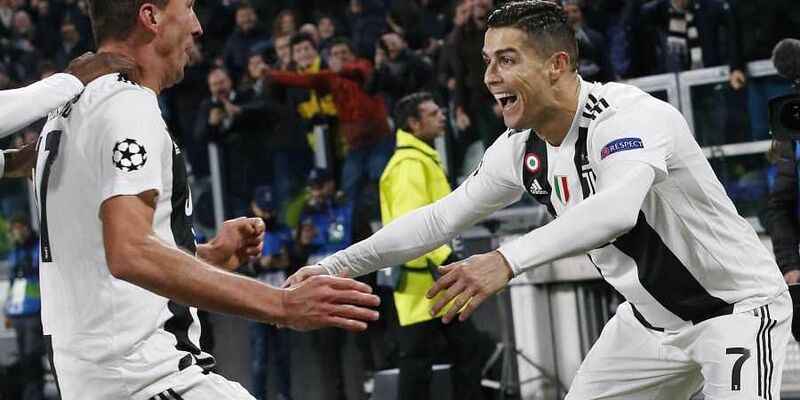 Ronaldo came out firing on all cylinders after his controversial red card during his first Champions League game for Juventus in Valencia back in September, which Massimiliano Allegri's side won 2-0 despite being down to ten men. The five-time Ballon d'Or winner was in top form in the Allianz Stadium with chances in the first three minutes, with a powerful drive straight at Valencia's Brazilian goalkeeper Neto. The five-time Ballon d'Or winner skimmed the post after 25 minutes following good work between Paulo Dybala and Alex Sandro. A clever Leonardo Bonucci backheel flip was picked up by Joao Cancelo whose curling effort flew past the post to the frustration of Ronaldo who had been position for the pass. However the hosts could thank goalkeeper Wojciech Szczesny for going into the break 0-0 when his one-handed save stopped Mouctar Diakhaby's searing header. Juventus piled on the pressure after the break with Neto denying Ronaldo from a free-kick. But Mandzukic broke through in the 59th minute as Ronaldo shook off Gabriel with some fancy footwork and flashed a low shot across the face of goal that found the Croatian forward, who just had to finish off. Valencia thought they had scored two minutes later but Diakhaby's header was ruled out and the defender penalised for handball. The Spaniards could thank Neto for limiting the damage, clearing a curling Dybala shot and a late Ronaldo header.